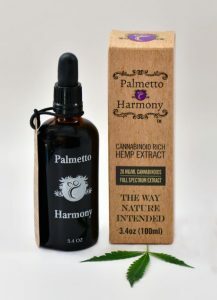 CBD Oil Review rates Palmetto Harmony with four stars because it qualifies for the Quality, Mission & Innovation Badges. Get ready for the feels. Palmetto Harmony has one of the most heartfelt and genuine missions we’ve ever come across. Their story is a true testament to the natural benefits of CBD and how this cannabinoid changes lives. A mother whose child suffered round-the-clock seizures was desperate for solutions for her family and other children with debilitating conditions. She put all her energy into forming a highly intentional, ethical, and chemical-free CBD company to improve the quality of life of anyone in need of CBD hemp oil. Palmetto Harmony’s story is real, and their products contain nothing that isn’t. The Palmetto Harmony story begins with Harmony, daughter of founder and CEO Janel Ralph. Harmony suffers from Lissencephally, a rare genetic disorder that causes constant seizures largely untreatable with pharmaceutical medication. Desperate for a remedy, Janel discovered CBD but had negative experiences along with other parents from overpriced, mislabelled, and borderline dangerous products. Then, Janel took matters into her own hands. A successful photojournalist, she had zero intention of getting into the CBD oil industry. But her deep-seeded mission to help her daughter and the rest of the world prompted her to act. She worked to pass pro-hemp legislation in her home state of South Carolina and started Palmetto Synergistic Research LLC to develop safe and powerful cannabidiol products. And the Palmetto Harmony brand was born. 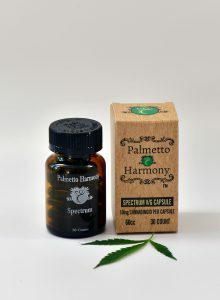 Palmetto Harmony’s growing methods are completely organic, and the brand is staunchly anti-chemical, using zero flavors, aromas, or dyes They currently hold one of only 20 licenses to grow industrial hemp in South Carolina. Before obtaining this permission, they sourced their CBD hemp from Kentucky and have since lowered their prices to pass along savings to their customers. That’s something you don’t see everyday. 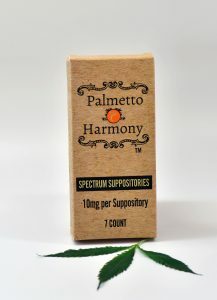 Palmetto Harmony claims to conduct independent lab tests on their CBD oil for cannabinoid and terpene profiles plus heavy metals and other contaminants. These results are available upon request. We honestly believe them, but cannot award the Safety Badge until they post these results online. Finally, the brand is doing some innovative research with their parent company, Palmetto Synergistic Research LLC. They conduct scientific studies using their products to better serve their customers and people around the world with new knowledge about what CBD oil does to the brain. Bottom Line- The ethos behind Palmetto Harmony is hard to rival and prompts a utilitarian, highly conscious way of doing business. It’s difficult not to resonate with their story, their mission, and their beautiful products. We have a sneaking hunch that this brand is involved in charitable activities. If they would disclose this plus their test results, we’d be more than happy to award all five badges. 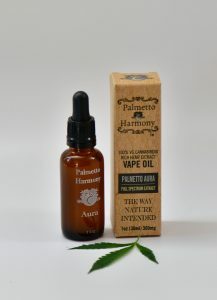 Palmetto Harmony organically grows industrial hemp on their farm in South Carolina and uses zero chemicals, fragrances, preservatives, or dyes in their CBD oil. 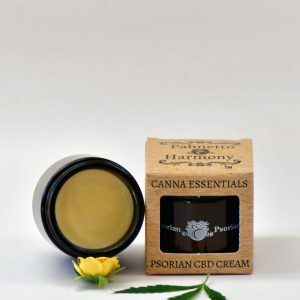 Palmetto Harmony is on a mission to improve the quality of life of any person or pet suffering from a health condition through all-natural, safe, and effective CBD oil. Through their parent company, Palmetto Harmony conducts EEG studies using a BrainBot to scan brain activity and monitor the real-time effects of their CBD oil. What should I start with? My back is a mess from nursing over 30 years. 3 years ago they put me through all the epidural injection and burning the nerve which was no help. Now sciatic nerve is inflamed and they are doing it all again. I do take primidone so wonder if this is safe with that? I bought the tincture for my mother in law who has ALS and terrible spasms. Her muscles twitch and jump constantly. Her joints are starting to lock up and it is very painful. She has been taking the sublingual twice a day now for about three weeks. What a difference it has made. The spasms are noticeably less. We would recommend this product highly! Palmetto Harmony has the cleanest and most consistent lab results any consumer could ask for. Their company does indeed donate many bottles to those who cannot otherwise afford to obtain this oil, contrary to above comment of the company. The customer service team is fantastic. The CEO is passionate about her product and her company as she uses it to treat her own child. I can't recommend or say enough wonderful things about them.